Sensei’s principals have written 17 books on IT, Cybersecurity and Digital Forensics published by the American Bar Association. Sharon and John are frequent authors and speakers on information security, legal technology and digital forensics throughout the country. They lecture around the globe and have been interviewed by ABC, NBC, CBS, CNN, Reuters, many newspapers and even Oprah Winfrey’s O magazine. 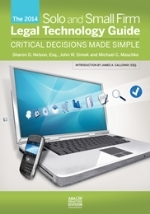 The only book of its kind that helps solo and small firm lawyers find the best technology for their dollar, this annual guide provides the most current and clearly presented information and recommendations on computers, servers, networking equipment, legal software, printers, security products, smartphones, tablets, and anything else a law office might need. 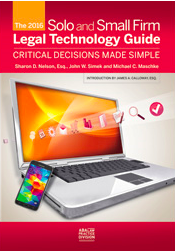 This annual guide is the only one of its kind written to help solo and small firm lawyers find the best technology for their dollar. You’ll find the most current information and recommendations on computers, servers, networking equipment, legal software, printers, security products, smartphones, tablets, and anything else a law office might need. 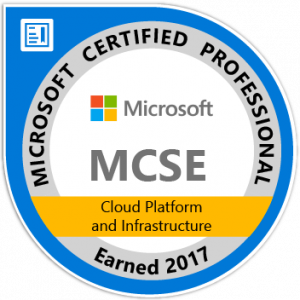 It’s written in clear, easily understandable language to make implementation easier if you choose to do it yourself, or use it in conjunction with your IT consultant. Either way, you’ll learn how to make technology work for you. 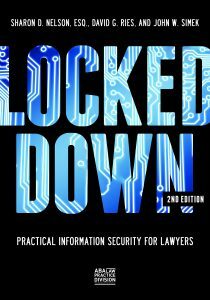 In the four years since the initial publication of Locked Down, data security has exploded as a concern for law firms. At the time, many attorneys were not paying attention to data security. 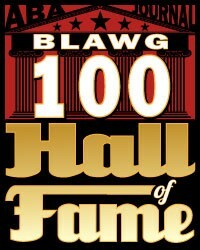 But with the growing number of data breaches, no attorney can afford to ignore these developments. With quickly advancing technology to prevent, detect and respond to intrusions and ever-evolving threats, keeping up on the latest information you need to protect your confidential data can be a daunting task. 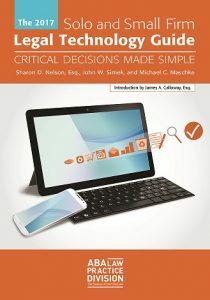 This one-of-a-kind annual guide is written to help solo and small firm lawyers find the best technology for their dollar. 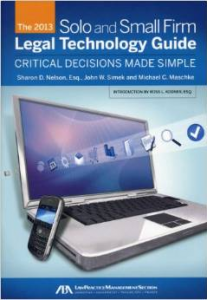 You’ll find the most current information and recommendations on computers, servers, networking equipment, legal software, printers, security products, smartphones, the iPad, and anything else a law office will need. It’s written in clear, easily accessible language to make implementation easier whether you do it yourself use an IT consultant. Either way, you’ll learn how to make technology work for you. 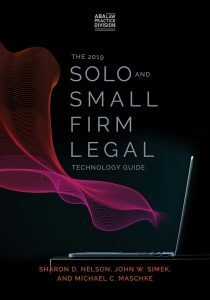 This annual guide is the only one of its kind written to help solo and small firm lawyers find the best technology for their dollar. You’ll find the most current information and recommendations on computers, servers, networking equipment, legal software, printers, security products, smartphones, the iPad, and anything else a law office might need. It’s written in clear, easily understandable language to make implementation easier if you choose to do it yourself, or you can use it in conjunction with your IT consultant. Either way, you’ll learn how to make technology work for you. Is it time to upgrade to Windows 8 or should you avoid it? Smartphones–which phones are best for lawyers? How can lawyers use social media ethically and effectively? Data security–what reasonable measures should you be taking in light of the new ethics rules?